Help us Kickoff Preservation Month! Event from 7:00 - 8:00 p.m. in the Carnegie Community Room at the St. Charles Public Library. Register on the St. Charles Public Library Website. Join Dr. Steven Smunt of the St. Charles Historic Preservation Commission for an exploration of historic homes around St. Charles. This program is in Collaboration with the following organizations as part of Preservation Month. 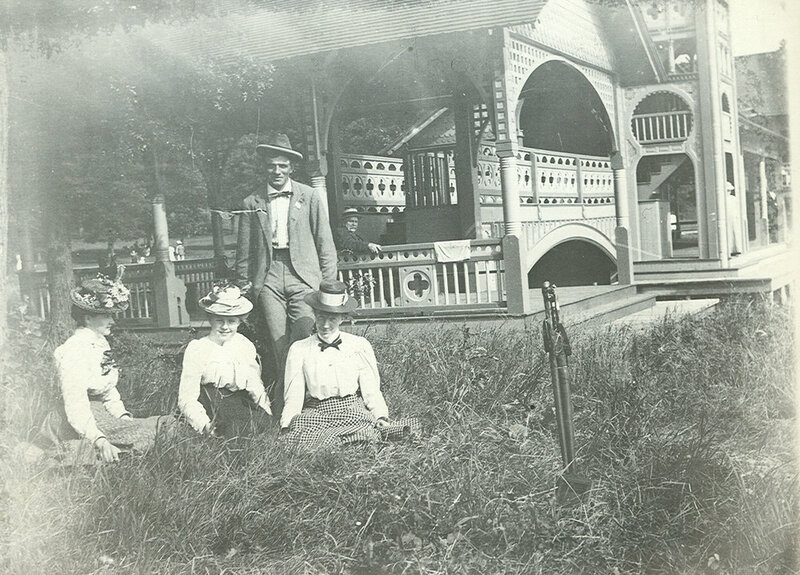 This program has been organized by Preservation Partners of the Fox Valley and is in collaboration with the following organizations as part of preservation month. Join us at the St. Charles History Museum during the Holiday Homecoming Electric Parade one of the Midwest’s most spectacular holiday events and is the official kick-off to the holiday season in St. Charles. Join us for cookies, hot cider, and a kids craft provided by Fine Line Creative Arts Center. Funny Faces Face Painting will be here from 2pm-4:30pm and providing holiday inspired face paint designs, $1 each. Don't forget to get a photo op with Rudolph The Red Nose Reindeer during the parade! Our face painter Kim will be creating festive art between 12:30 and 2:30 for $1 per piece. The parade steps off at 2:00pm each year at Main and 6th Street. The route continues down Main Street and concludes at 4th Avenue. The St. Charles History Museum and The Downtown St. Charles Partnership (DSCP) are organizing a Pickle the Town Scavenger Hunt in Downtown St. Charles in honor of Small Business Saturday. 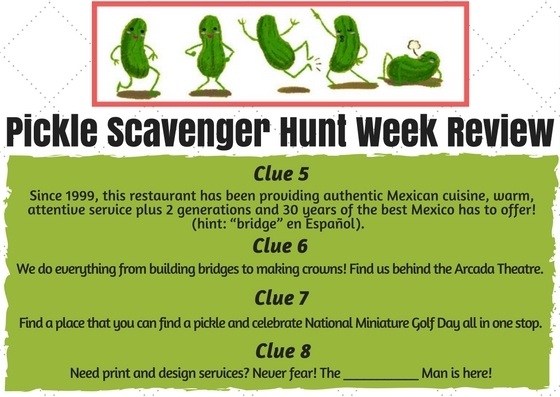 Pickle the Town will begin Tuesday, September 12 and end on Small Business Saturday, which takes place this year on Saturday, November 25. Started by American Express in 2010, Small Business Saturday encourages the public to support their local economy by shopping at independently owned businesses on the Saturday following Thanksgiving. Now in its seventh year, the program has continued to grow each year, with more involvement on the part of the businesses as well as the consumers. 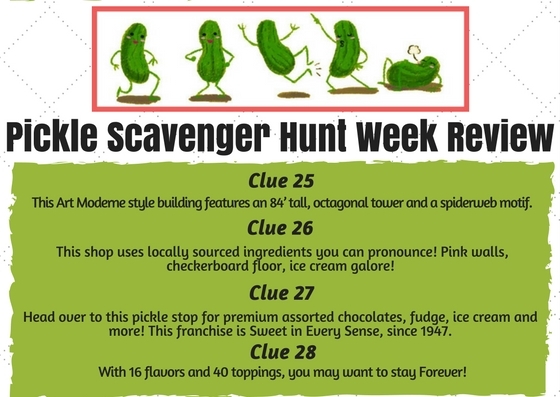 The majority of Downtown St. Charles’ businesses are independently owned, including the franchise operations, so the St. Charles History Museum has partnered with the DSCP to organize a Pickle the Town Scavenger Hunt as a way to further engage the public with the downtown business community. Participants can have multiple entries, as long as they are showing a different business each time. Just be sure to post them by Saturday, November 25. There will be three categories with one winner for Best Caption, Best Selfie and Most Pickles Found. The winners will receive prizes from the St. Charles History Museum and from various downtown businesses. Economic Development Division Manager, Matthew O’Rourke, looks forward to the event for St. Charles small businesses. "Shop Small Saturday is a great reminder of how you can impact a local business, support their family, and support your community,” says O’Rourke. “Not only does shopping small keep this money in the community and with your neighbor’s business, through sales tax it helps pay for vital City services like snow plowing, water, and sewer maintenance, and police and fire protection." To learn more about Small Business Saturday, visit www.shopsmall.com. To find out more about the Holiday Homecoming parade and the Pickle Scavenger Hunt, visit www.stcmuseum.org or www.downtownstcharles.org/holidays. German families will hide a pickle ornament on the Christmas tree and the first person to find it will get a prize or is allowed to open their presents first. 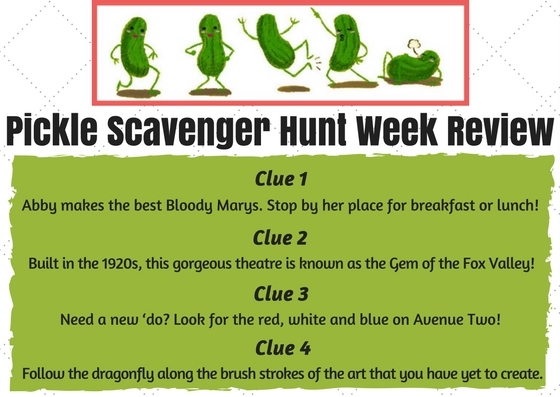 The St. Charles History Museum came up with the idea of using the German Christmas Tradition of hiding a pickle ornament to tell a little history of St. Charles in a fun way. 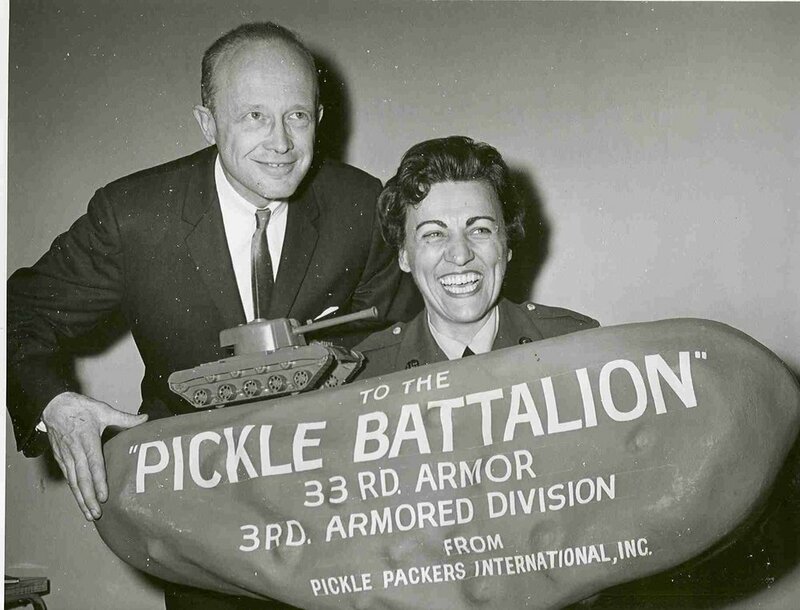 From 1960 to 2004, St. Charles was the home of Pickle Packers International Headquarters. During this time, the CEO of the company Bill “The Dill” Moore promoted the consumption of pickles to the point of earning St. Charles the title of Pickle Capital of the World. 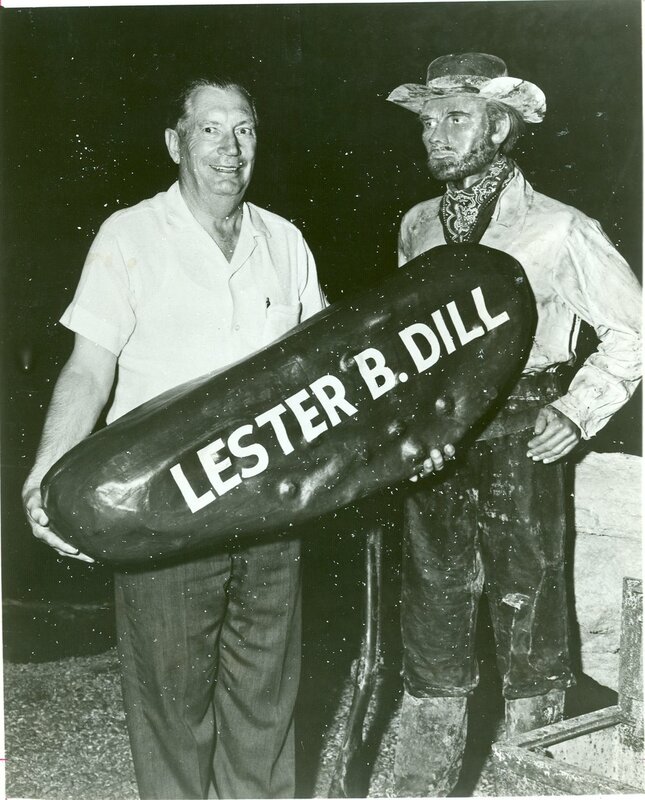 Bill “The Dill” Moore created items such as pickle golf clubs, pickle phones, pickle purses, Miss Pickle Contests and more. These pickle items were not only in St. Charles but were sent as far as England to Prince Harry and William. The Museum is located in the 1928 McCornack Oil Company building at 215 East Main Street. The building served St. Charles as a gas station from 1928 until 1990. The St. Charles History Museum is a 501(c)(3), non-profit organization operating the St. Charles History Museum and historic archive. The Museum holds more than 10,000 photographs in its archive and 15,000 artifacts in its collection. The Museum's Gift Shop is the only place in town to get St. Charles merchandise. In addition to providing historical information about St. Charles, we also host events and speakers to engage the community in different ways alongside St. Charles businesses. Join the St. Charles History Museum for our Family Fun Day! Bring your kids to enjoy carnival games, kid friendly food provided by the Slow Food Truck, live music, a dunk tank, face painting, a trackless train and much more. As part of Family Fun Day All Things Art Studio will be running a chalk art contest children ages 5 to 12 are encouraged to participate. The chalk contest will be begin at 11:30 a.m. and will conclude at 2:00 p.m. Voting will occur from 2:00 p.m. to 3:00 p.m. Contest winners will receive an assortment of prizes generously donated from local businesses. Only ten spots are available; participants are encouraged to register with Museum staff as soon as possible, as spots are awarded on a first-come first-serve basis. To enter please fill out the form below or call 630-584-6967. Thank you for entering our chalk art contest and we look forward to seeing you at Family Fun Day. The Family Fun Day will be held at the St. Charles History Museum and on the top deck of the adjacent 3rd Street Parking garage. Dunk Tank featuring Ron Onesti, Paul Lencioni, and more! Ticket includes: entry to the event, 25 game tickets, a bag of popcorn, and a bottle of water. Ticket includes: entry to the event, 10 game tickets, a bag of popcorn, and a bottle of water. 5 Addition game tickets, a bag of popcorn, and a bottle of water. Join us at the St. Charles History Museum during the Holiday Homecoming Electric Parade one of the Midwest’s most spectacular holiday events and is the official kick-off to the holiday season in St. Charles. Stop in the Museum for hot cider, cookies, a craft, face painting and more. The 2016 St. Patrick’s Day Parade kicks-off on March 12th at 2pm. The parade runs down Main St./Rt. 64 and features Irish dancers, authentic Irish music, floats and more! Electric Parade - Live Music and more! We'll be open late during the Holiday Electric Parade. Come by to warm up, listen to live Christmas music, participate in kids activities, and more starting at 4:30 pm! Lighting of the Lights Warming Center! Come visit us during the St Charles Holiday Lighting of the Tree Event! The History Museum will be open until 6pm as a warming center with treats and kids activities throughout the day. In honor of the Municipal Building's momentous 75th anniversary, the St. Charles History Museum, in partnership with the City of St. Charles, invites you to join a celebration of the Municipal Building on Saturday Sept. 12 from 1-3 pm at the building and plaza at 2 E Main St.
Come by the Museum to make your very own mosaic inspired by Hotel Baker's Rainbow Room floor! Come learn about the dynamic history of St. Charles Aviation and participate in a wide variety of activities during Aviation Week at the Museum! Come by the Museum and learn how to make a pickle glow! Batter up! Come join us for our 1st Annual Sports Week. Meet a baby cow and participate in fun outdoor activities to welcome in the summer! Did you know St. Charles used to be the pickle capital of the world? Come check out the new temporary exhibit "It's A Big Dill!" and decorate your own pickle person to take home with you!